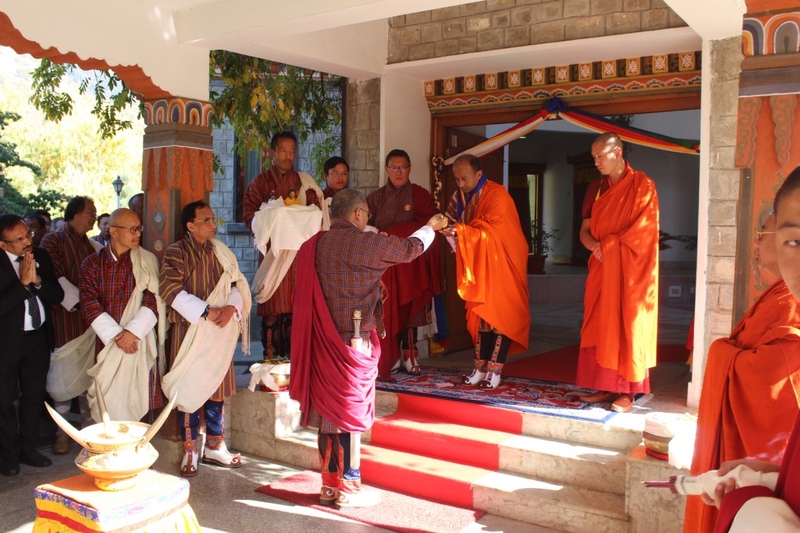 Lyonpo Loknath Sharma, the new Minister, officially joined Ministry of Economic Affairs, today. The Management and staff of the Ministry received him and offered Tashi Legdhar. Prior to his appointment as Tengye Lyonpo, he served as community service worker. He also served as the regional head of Road Safety and Transport Authority. He holds MA in Economics from Allahabad University, India, and Bachelor’s Degree (Science) from Sherubtse College, Kanglung. He also has Advance Diploma in Community Services from Canberra Institute of Technology, Australia. The Management and Staff of the Ministry offers warm felicitations and look forward to working under Lyonpo’s guidance and leadership.